Over-sized stereo chassis (20" wide by 12" deep) allows space between components, as well as, use of oversized flagship 300B output transformers that is made to our specification, it is capable of a staggering 30 watt output. The "beefed up "power transformer is also designed by ourselves to handle the extra voltage on this design, as well to have running temperature and quietness to the refinement level we wanted. Dual choke transformers setup for superior AC filtering on each section. 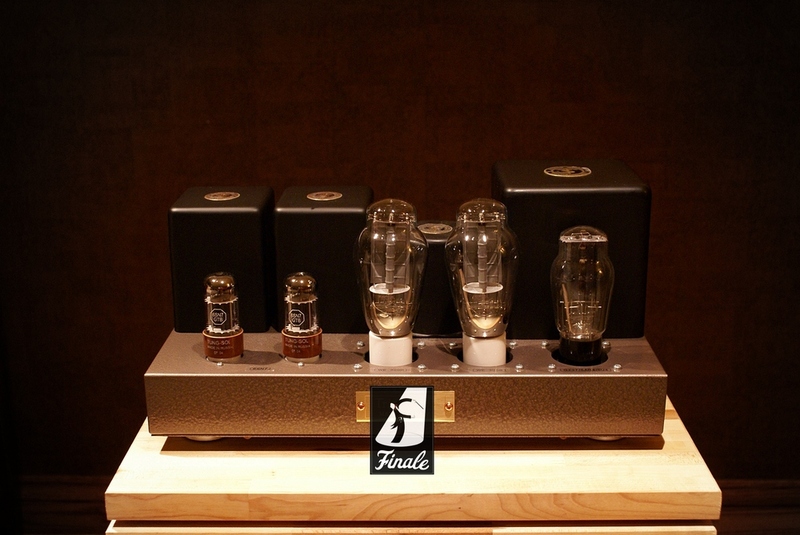 One of the choke to feed the tubes and its dedicated power supply E-Cap, and the other choke to feed the dual e-caps to the power supply stages, along with the high quality made power transformer making it one of the quietest 300B tube amp from around the world. Finishes - 9 of our in house colours, or add $500 USD for your favour car colour or $2,000 USD to upgrade to copper chassis (shown above). Pure Dual Mono design, each channel's own output, choke, power transformers and tube rectified power supply stage on to the same chassis - Total 6 Transformers. DUO Feedback Technology, Double the bandwidth, higher the efficiency and stability, lower the distortion and noise, and beautiful curves of both measurements and image of the body. Chassis same as F-3008 300B Integrated (Shown below blue unit), with many more condensed parts and transformers, 6SL7 will be used if doing the PDM as an integrated amplifier. 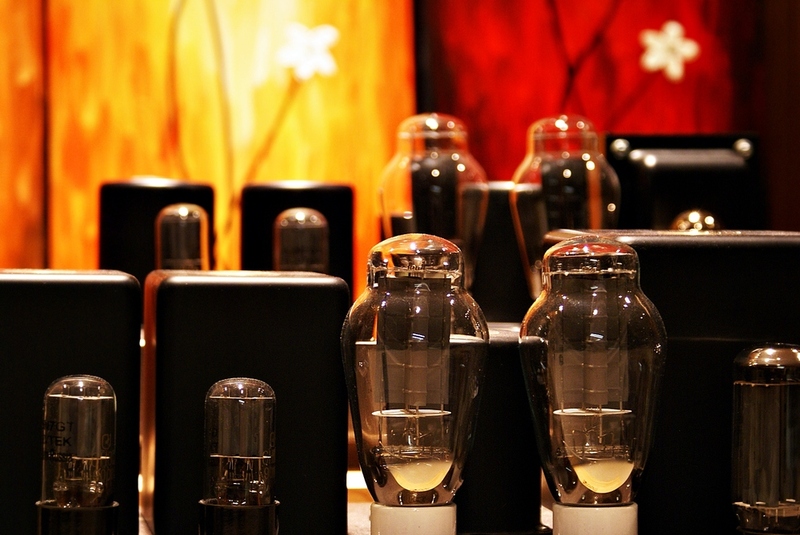 5U4 AND GZ32/5V4 Rectifier Tubes are recommended and all ideas to be matched. Limited. Made to Orders Only. Lead time required. Your choice of Porsche or Mercedes Benz paint or copper chassis. Design concept: Complete individualized stages - the driver/pre-amp, outputs and rectify / power supply stages. And on the 300B output stage, each tube is fed, ran and cooled by its own circuit board for best separation and stability. This is easily some finest flea watts and what we call an appropriate 300B SET amp - if not the term "high-end" which often falsely used on the market. The design also applies DC-driven heater to minimize hum and noises, on the drive - it features a 3-stage triode amplifications for supreme musicality and drive. A solid thick gauge aluminum chassis is used to start off a stable and stiff foundation for the construction. To be the best, reliability and specifications are both included.